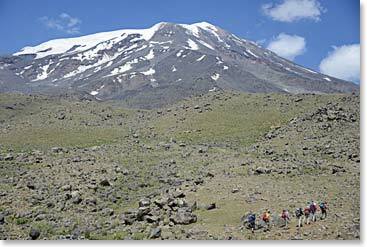 Follow the Berg Adventures team as they climb the towering Mount Ararat, learning the illustrious history of this great mountain while walking with nomadic peoples herding their animals, as their ancestors did thousands of years ago. But climbing Mount Ararat won’t be our only objective; our climbers will have the chance to explore the fascinating city of Istanbul and the incredibly unique region of Cappadocia. Join our team as they discover how Turkey is a wonderfully colorful and diverse country with many great adventures to offer.